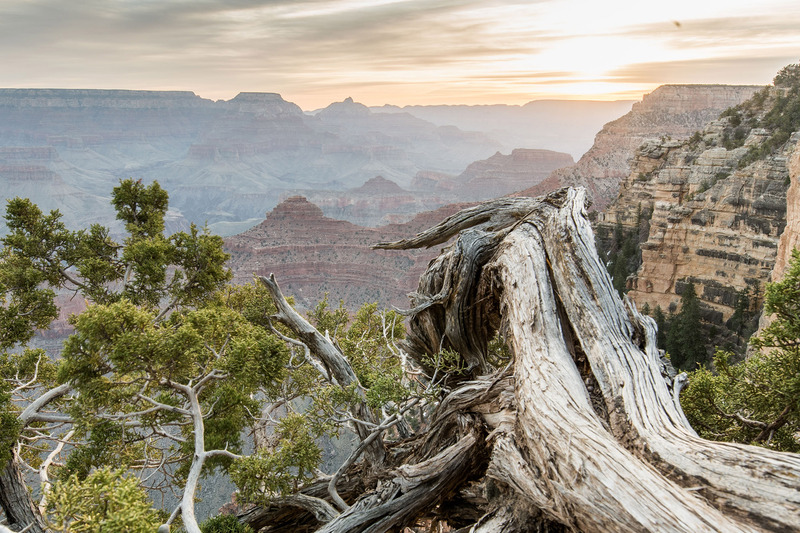 I got bitten by the travel bug again in March, so I took a road trip from Texas to the Grand Canyon. 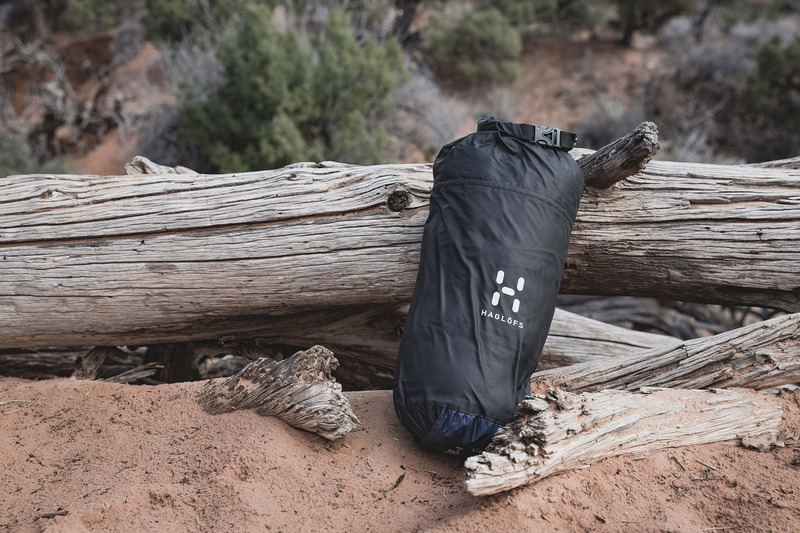 I had with me my brother’s delicious homemade beef jerky, my camera gear, and the Cetus -1 sleeping bag from the Swedish brand Haglöfs. The plan was not only to take a few days holiday but also to spend some time pursuing my great passion: landscape photography. The North American National Parks are perfect for this so I made sure I had all the right gear with me. I was also planning to spend some nights in the national parks to be there for that perfect shot, day or night. For having a roof over my head, I chose the new tent from MSR, the FreeLite 2. 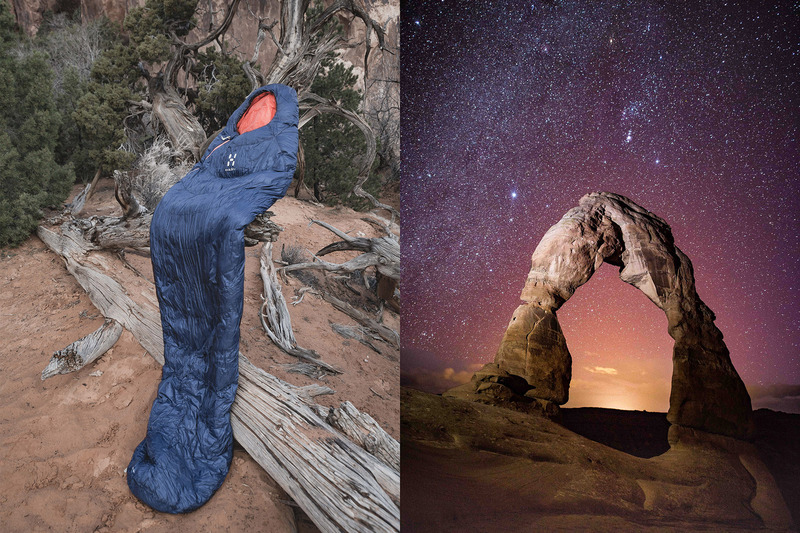 For my sleeping bag, I needed an all-round sleeping bag that promised good insulation and, taking into account my camera equipment, wasn’t too heavy. That’s why I chose the Cetus -1 from Haglöfs. With a pack size of just 17×27 cm and weighing only 950 grams, the Cetus -1 can definitely be described as compact. As temperatures in places like Utah can often drop 25°C from day to night, I was happy to be able to snuggle up in the Cetus -1 at night when the needle dropped almost to freezing. The Cetus -1’s duck down insulation kept me comfortably warm even with an outside temperature of 0°C and wearing only light underclothes. But that was at about the limit of what the Cetus -1 was designed for, which of course made it the perfect choice for this trip. 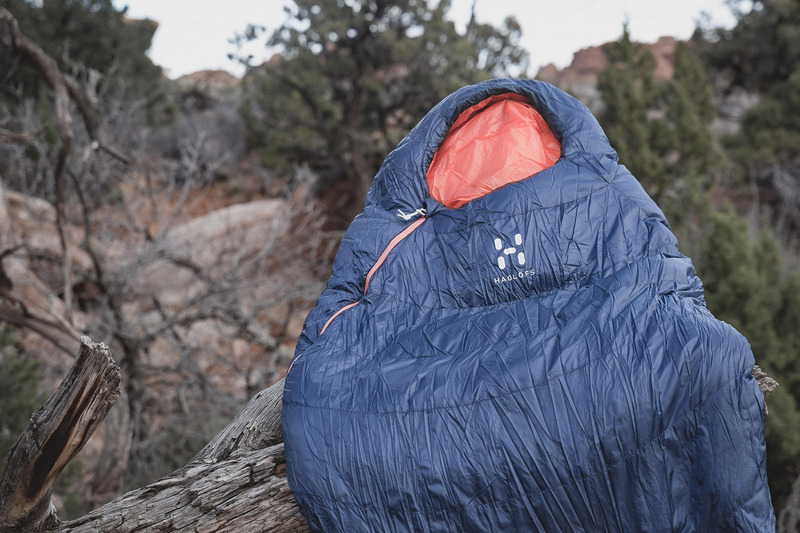 Any colder and the Cetus -10 would have been the better option, even with its slightly larger pack size and weight. At first I was a bit sceptical about the glossy texture of the Pertex® Quantum 20D and 15D material. That was quickly dispelled after the first few nights; the material felt extremely comfortable on the skin. 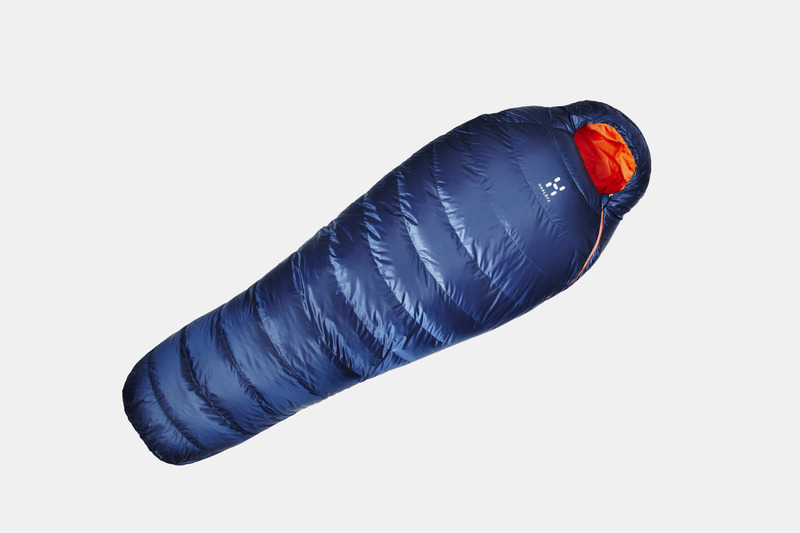 In the quilted design is a 700-fillpower duck down insulation. All materials used in the Cetus -1, including the duck down, are bluesign® approved, meaning that they are at least 90% free from substances hazardous to the environment and human health. 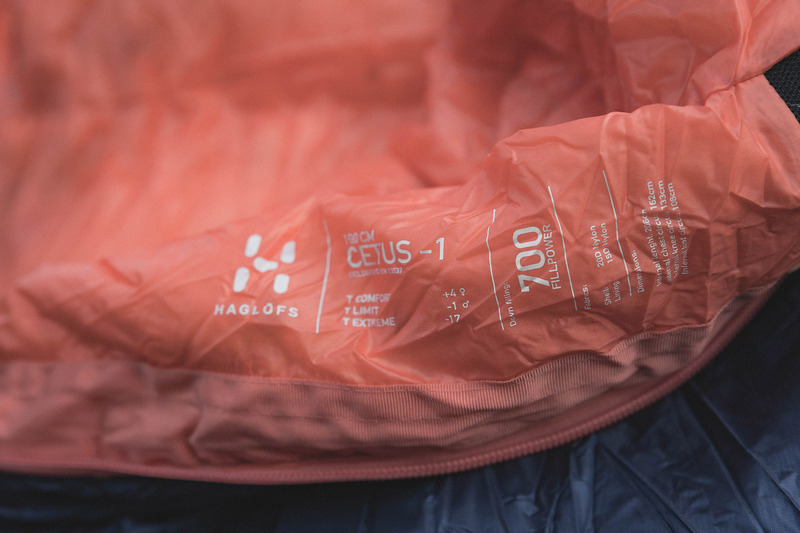 Additionally, the Cetus -1 carries Haglöfs’ Take Care certificate, Haglöfs’ own contribution to sustainability and environmental protection. 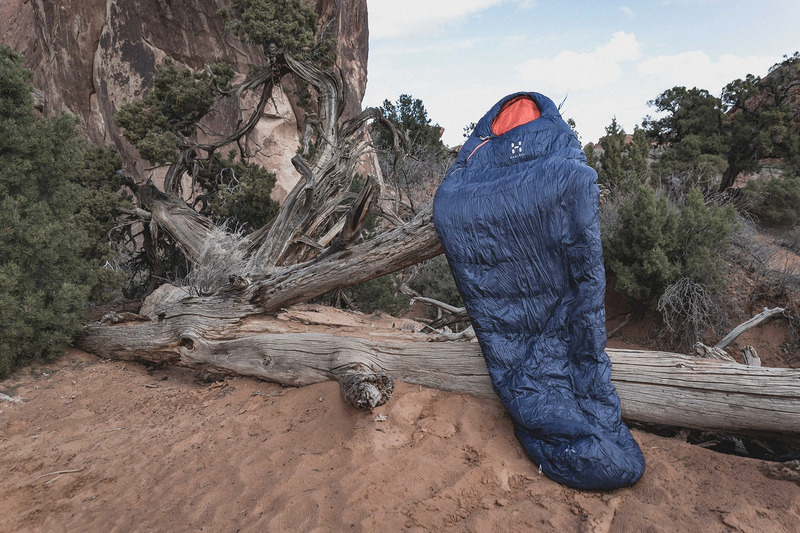 The ergonomic design of the Cetus -1 gives the sleeping bag an optimal fit, making it warmer and more comfortable. 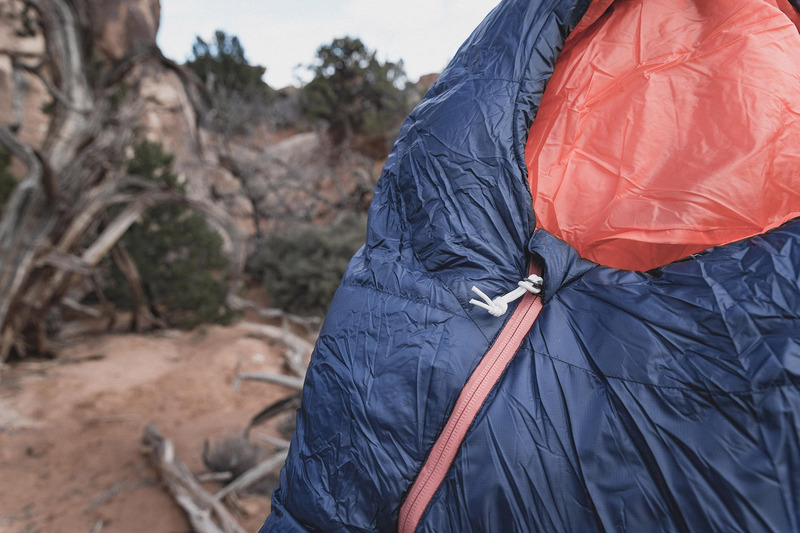 A zipper runs ¾ of the length of the sleeping bag and has an anatomically-shaped curvature. 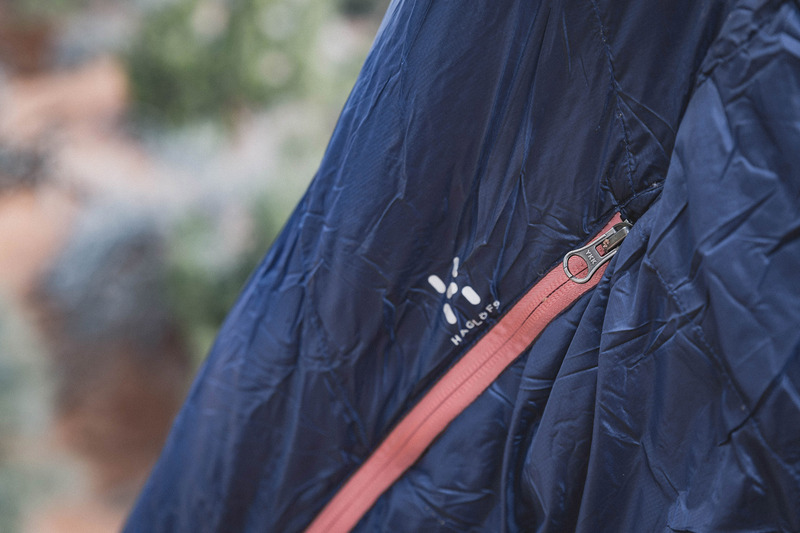 A special tape prevents the outer material from being caught in the zipper. I found the inner mesh pocket and pillow pocket particularly practical. I was able to fold a sweater into the pillow pocket for padding, saving me the need to bring an extra pillow. Plus I had a pre-warmed sweater when I woke up in the morning. 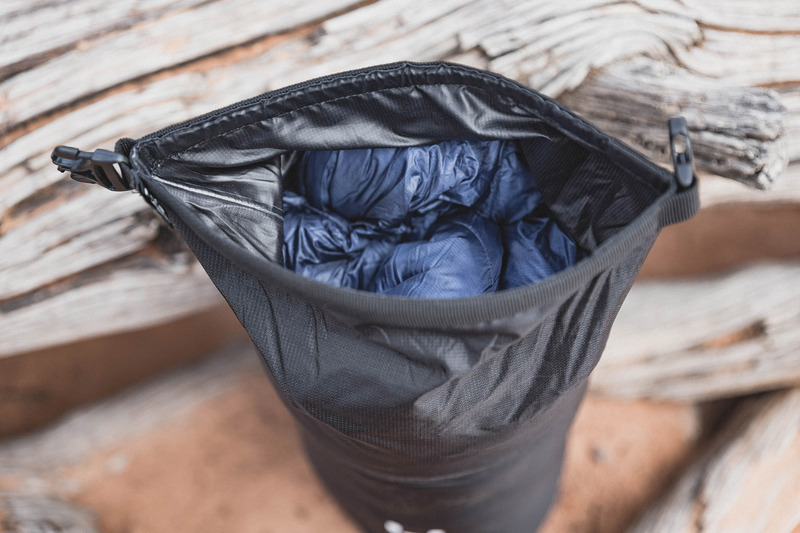 But what impressed me the most was the idea of using a roll-top compression bag instead of the standard stuff sack. It was even watertight. 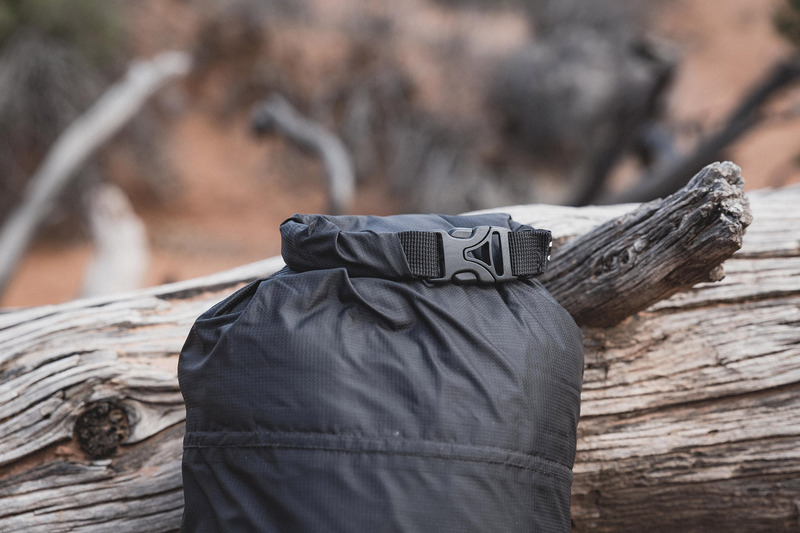 This way, when you’re out in the elements for several days, camping or hiking, you don’t have to worry about protecting the duck down in the sleeping bag and can even attach it to the outside of your backpack, even in the rain. The waterproof bag is free from Perfluorooctanoic Acid (PFOA), which is often used in the industry to make fabrics water-resistant. Good to know! Conclusion: I am extremely happy to have had the Cetus -1 from Haglöfs as a reliable companion on my trip. Some afternoons I even started looking forward to the night-time just to be able to curl up in it. 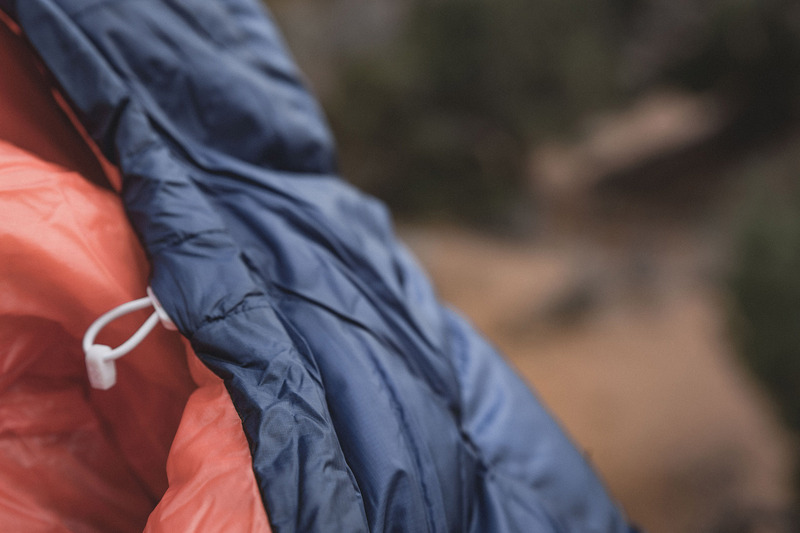 Its warmth, high-quality workmanship and lightness make the Cetus -1 a perfect 3-season sleeping bag for camping and hiking trips. And the cherry-on-top is Haglöfs’ commitment to protecting the environment, setting a great example for their competitors.